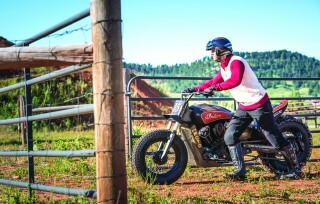 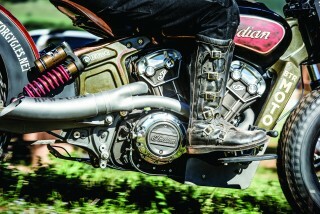 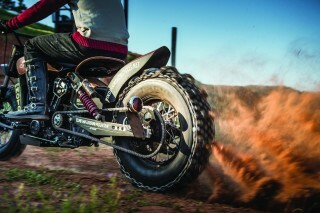 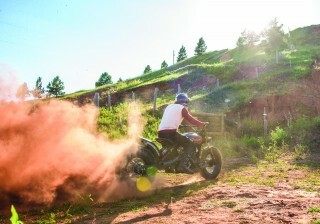 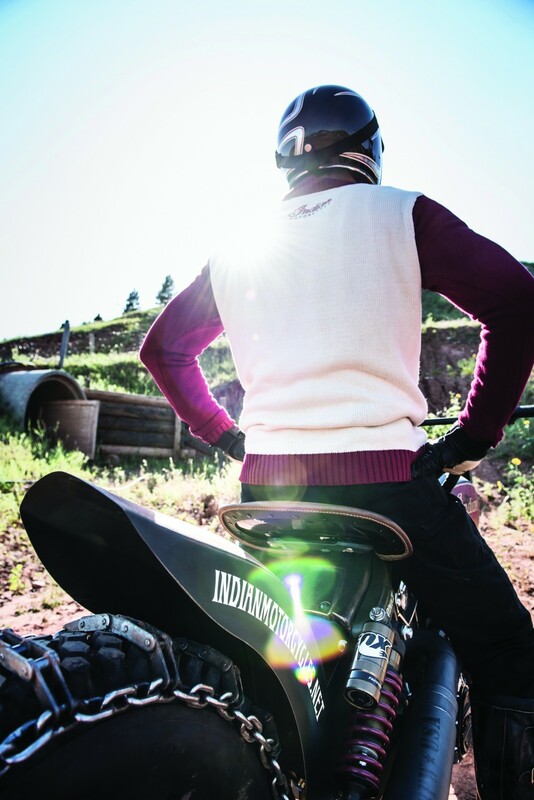 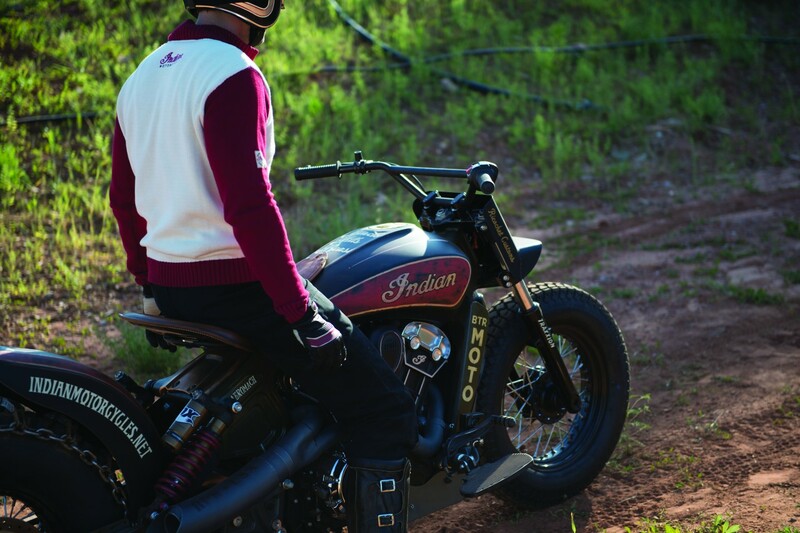 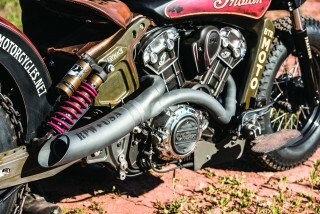 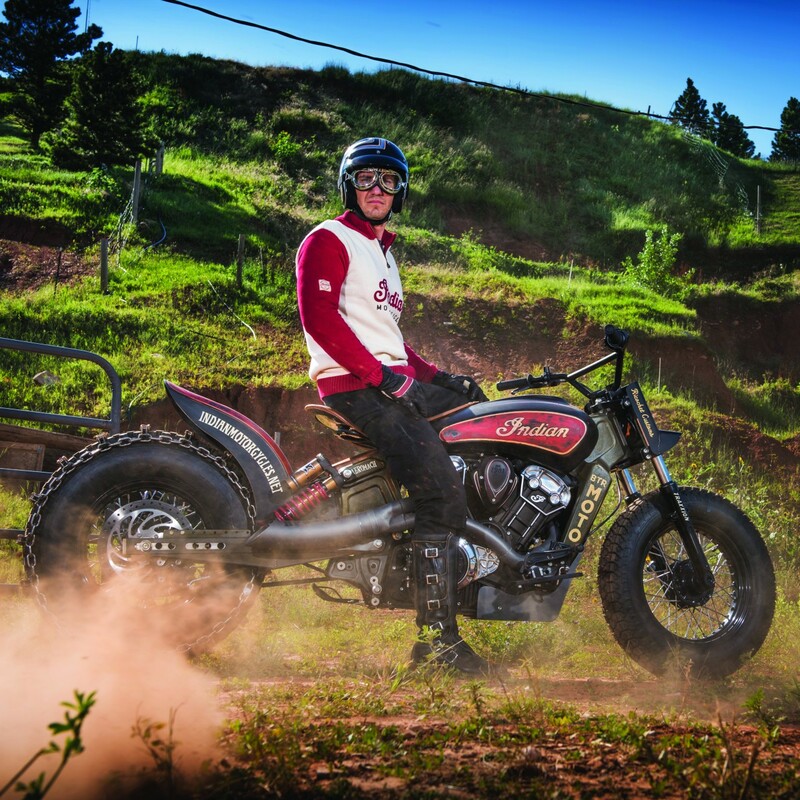 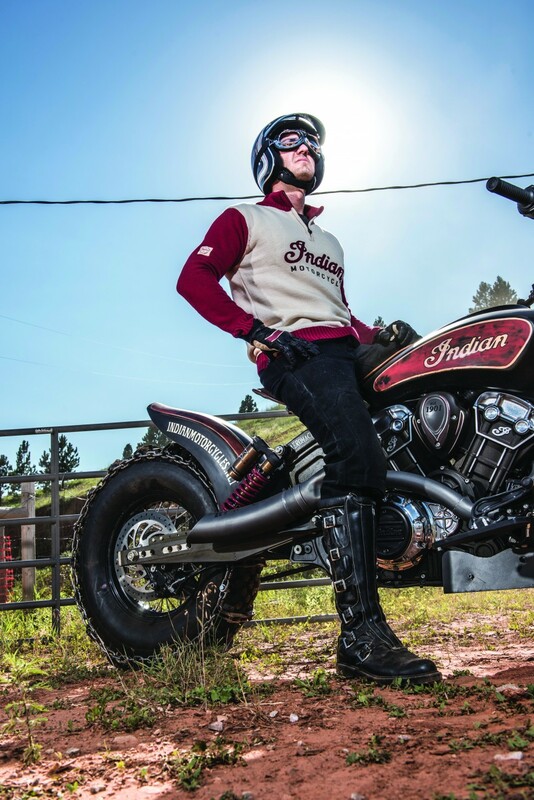 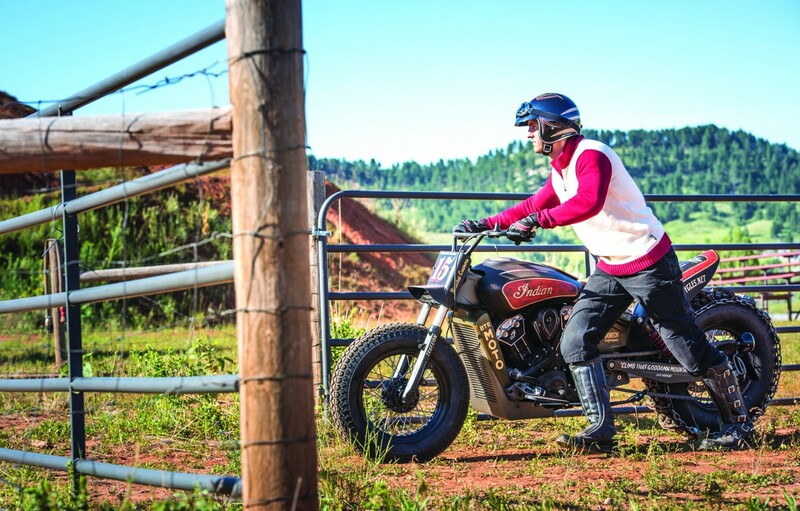 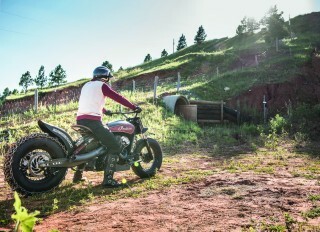 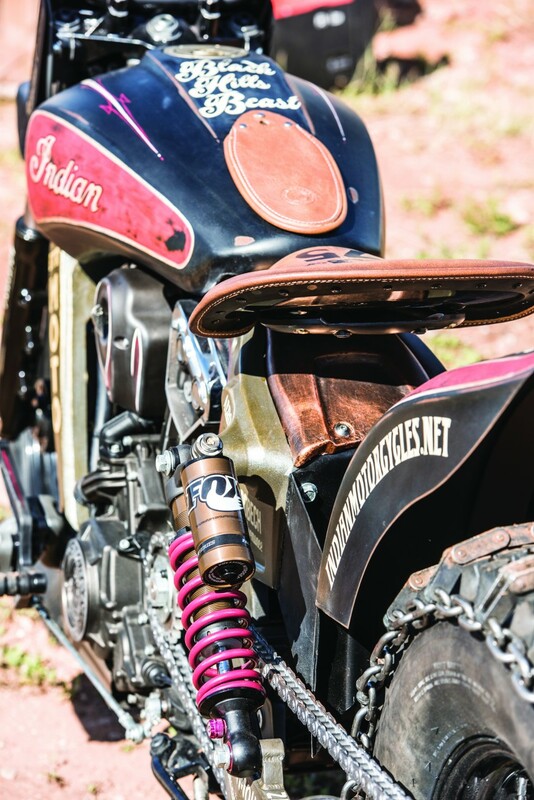 Indian Motorcycle continues its run of bikes in the Custom Scout Series with the ‘Black Hills Beast’ – built by Doug Siddins and Nick Jaquez from IndianMotorcycles.net. 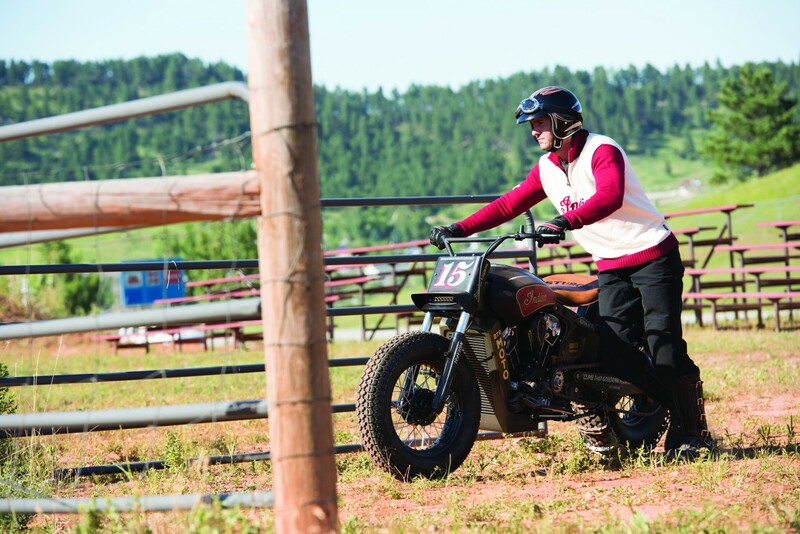 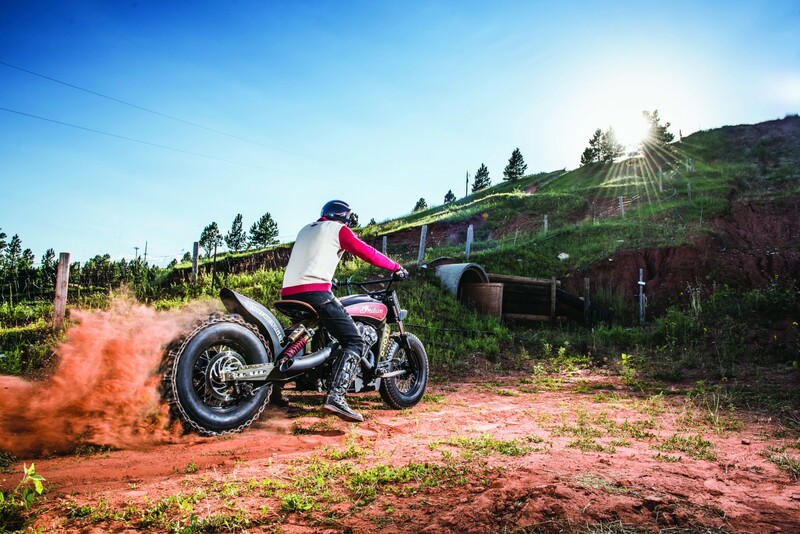 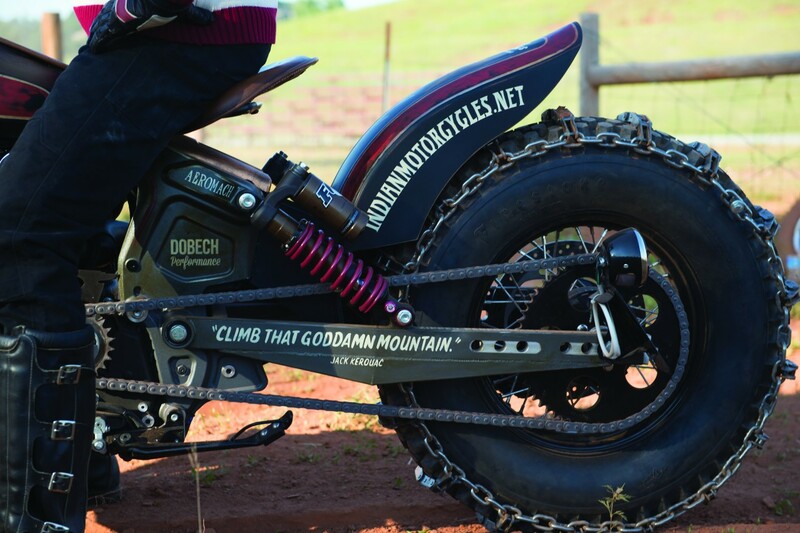 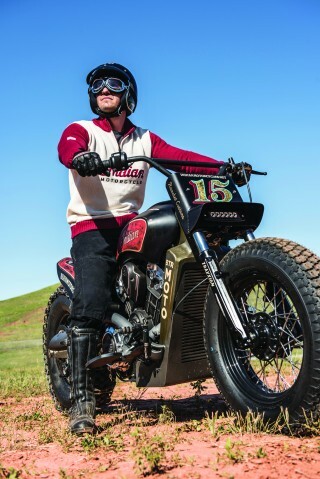 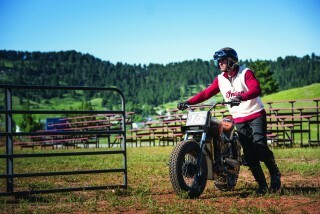 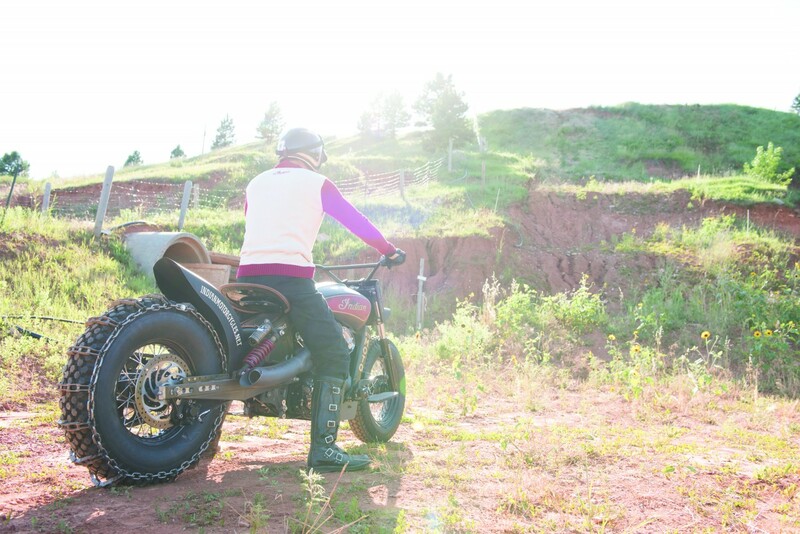 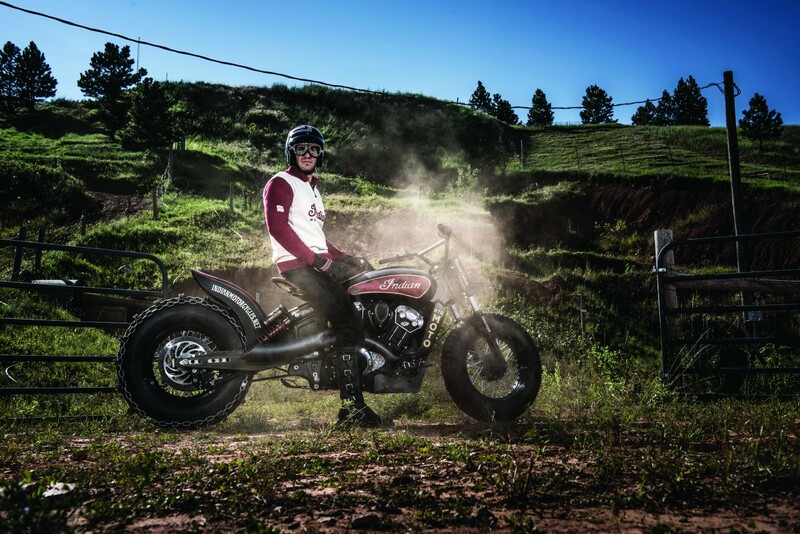 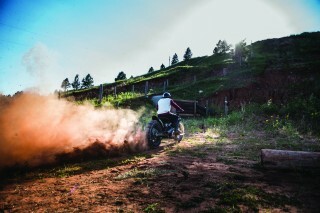 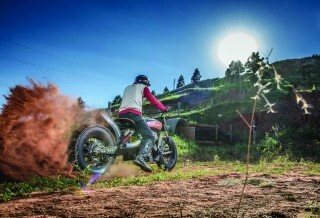 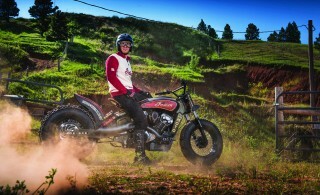 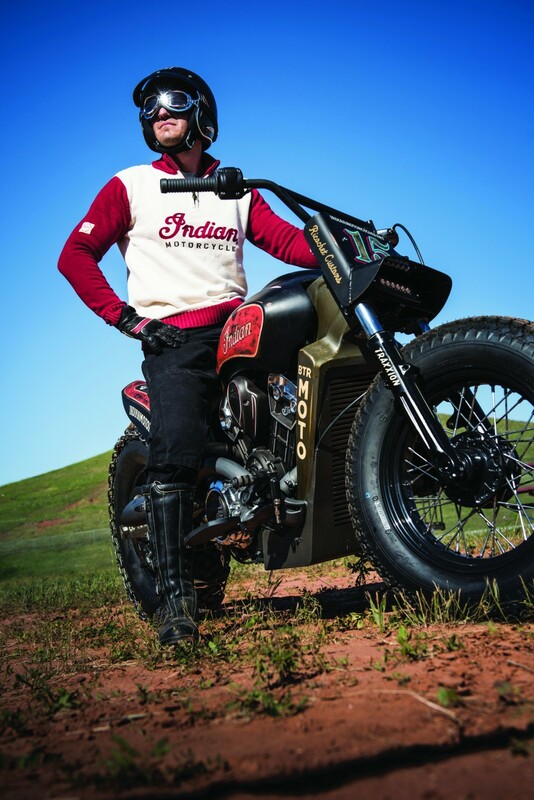 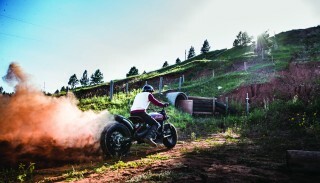 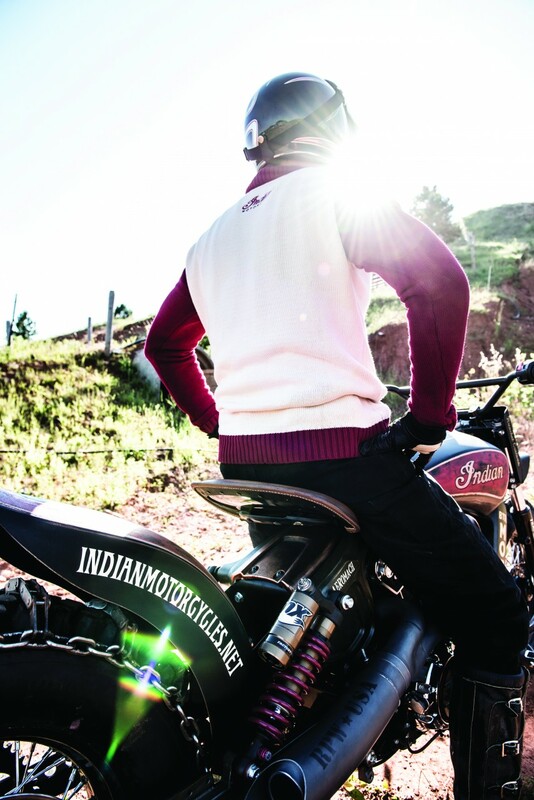 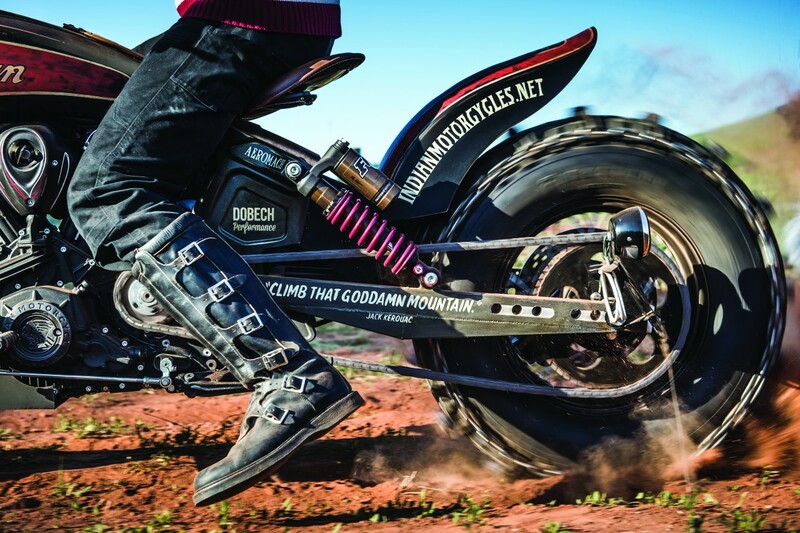 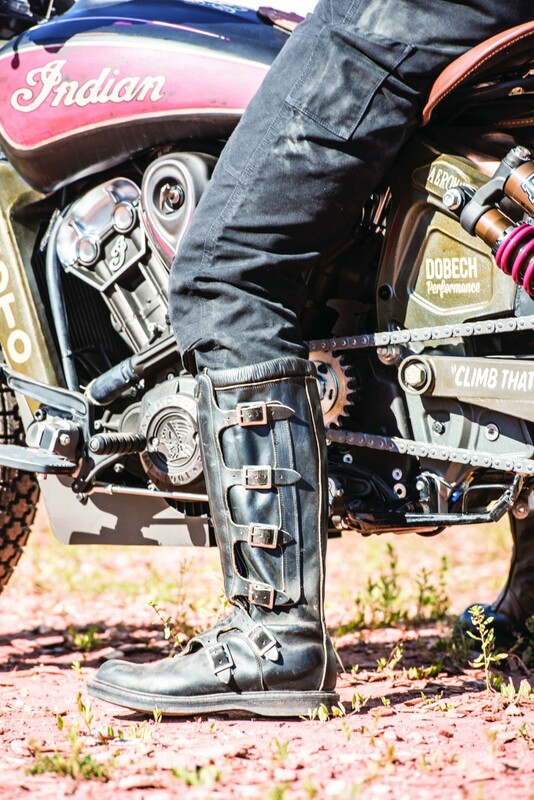 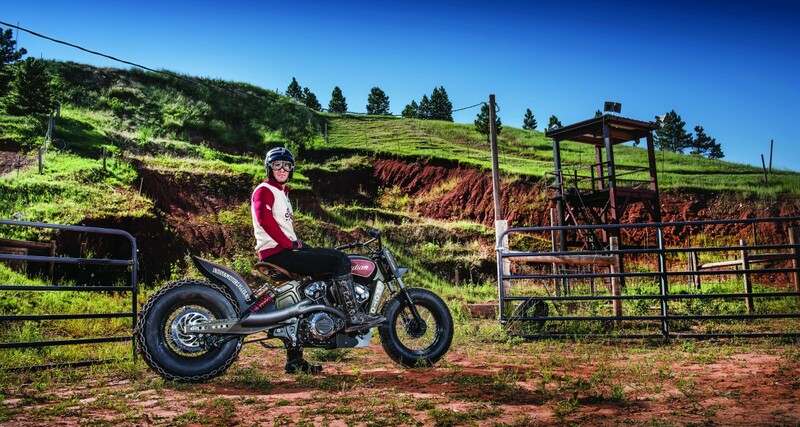 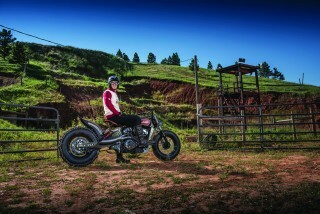 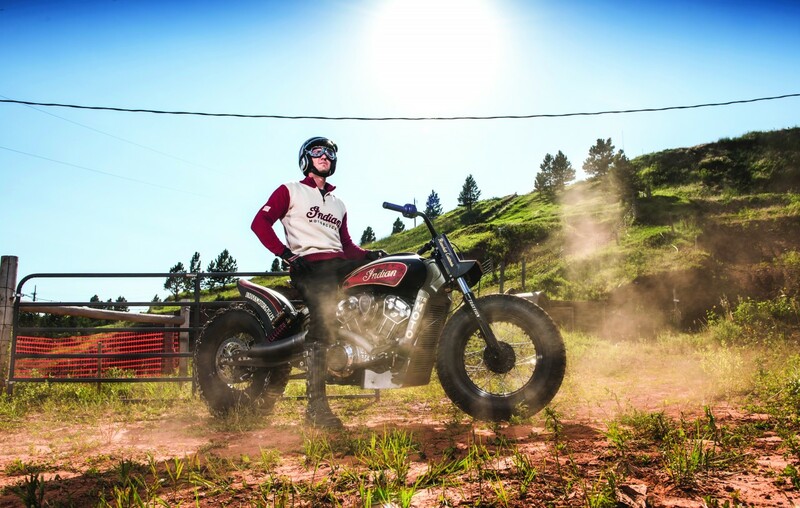 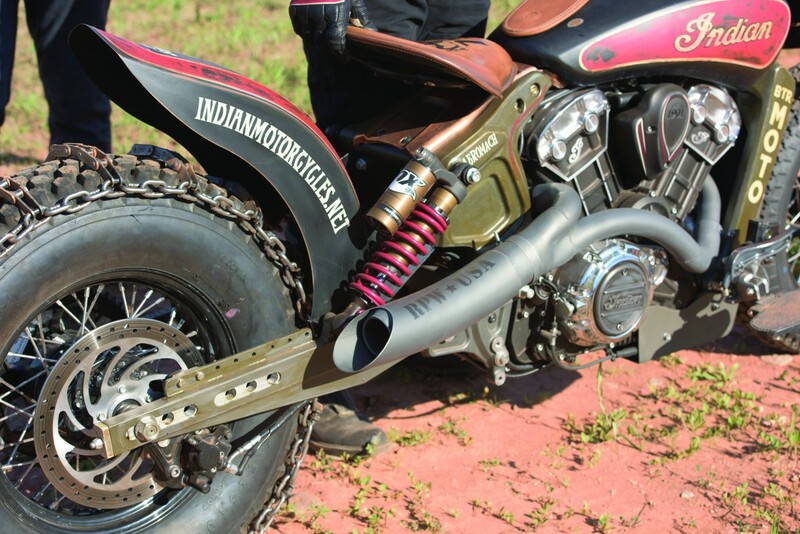 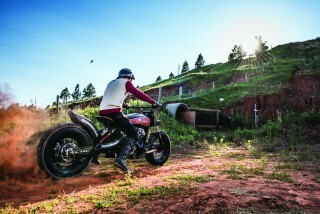 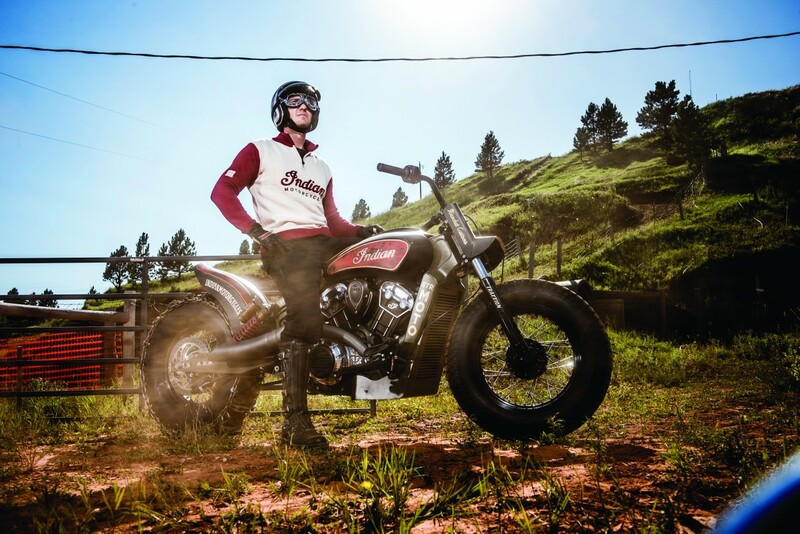 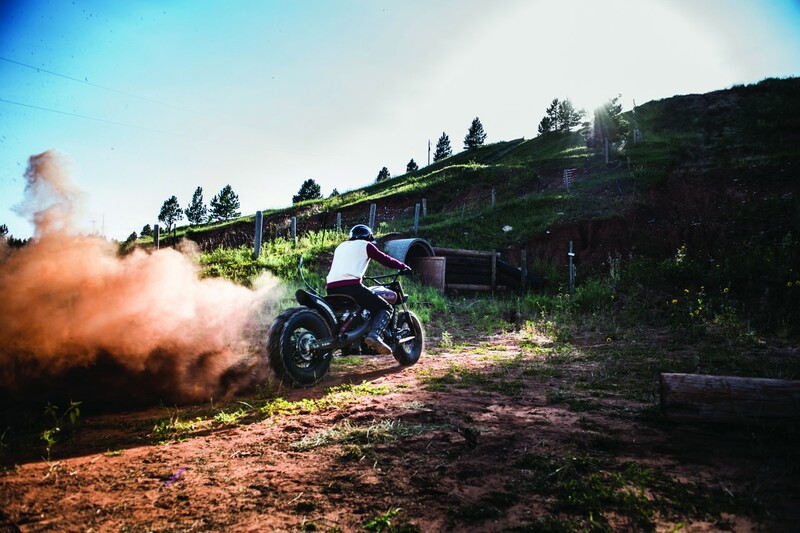 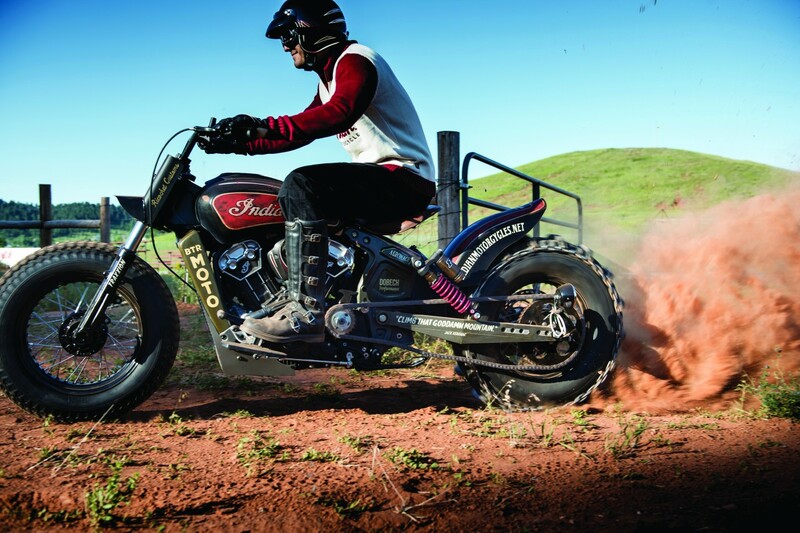 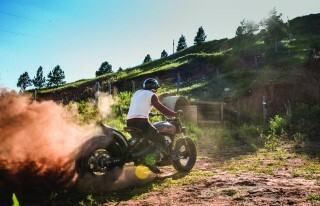 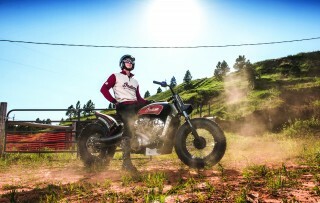 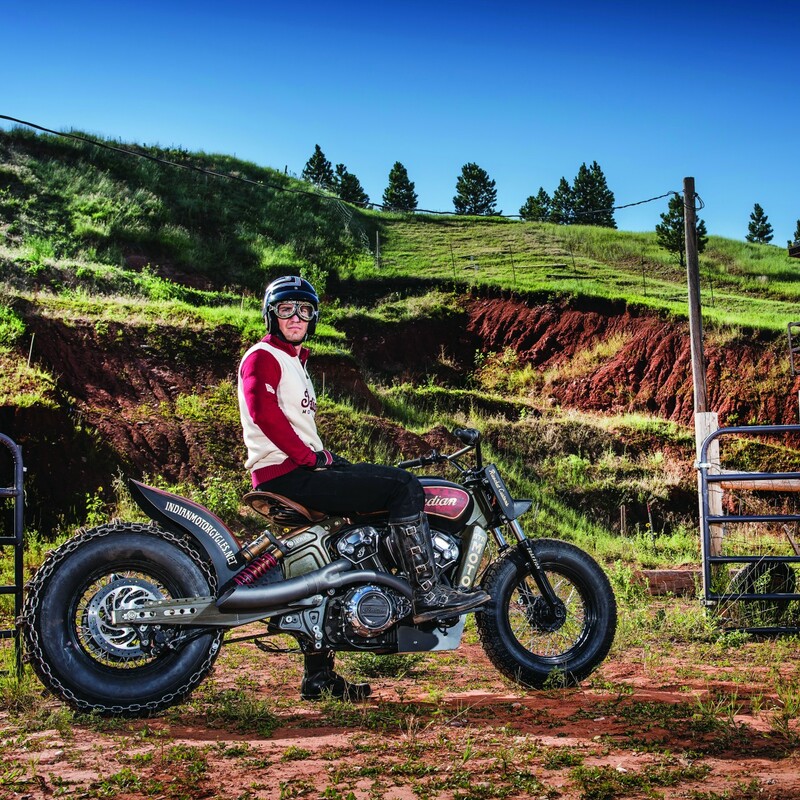 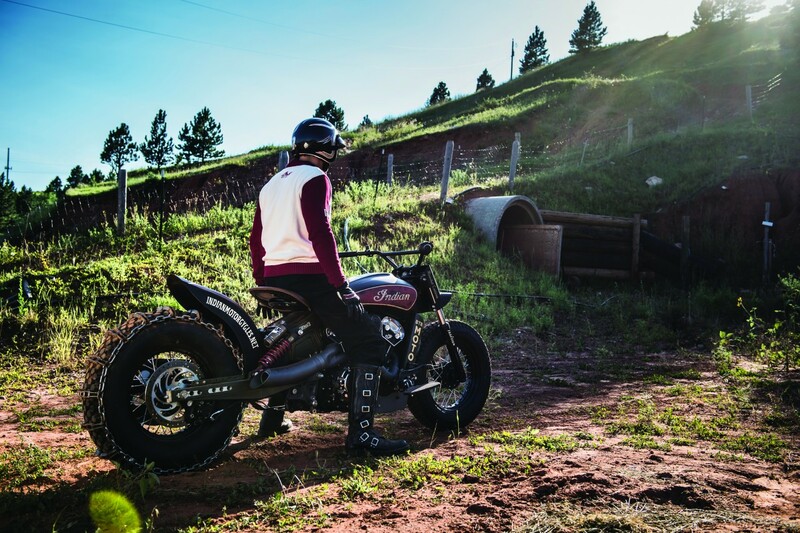 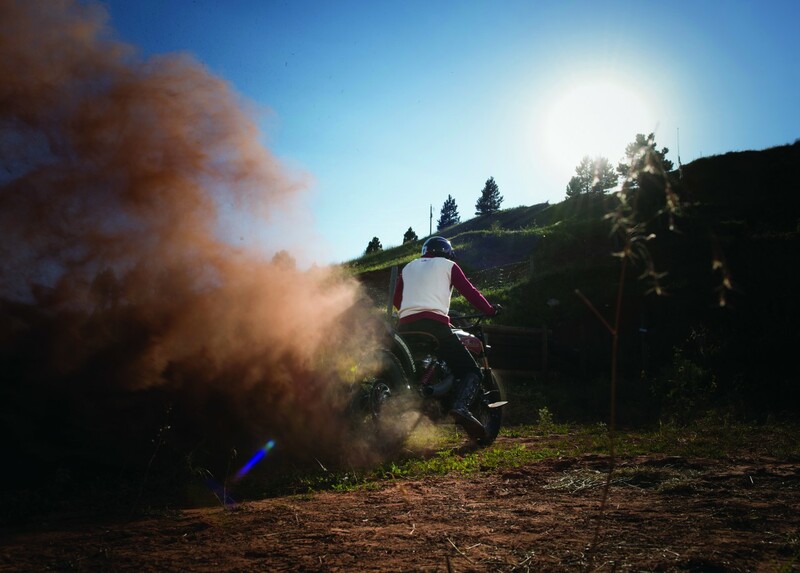 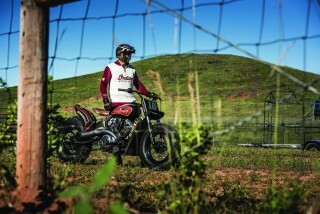 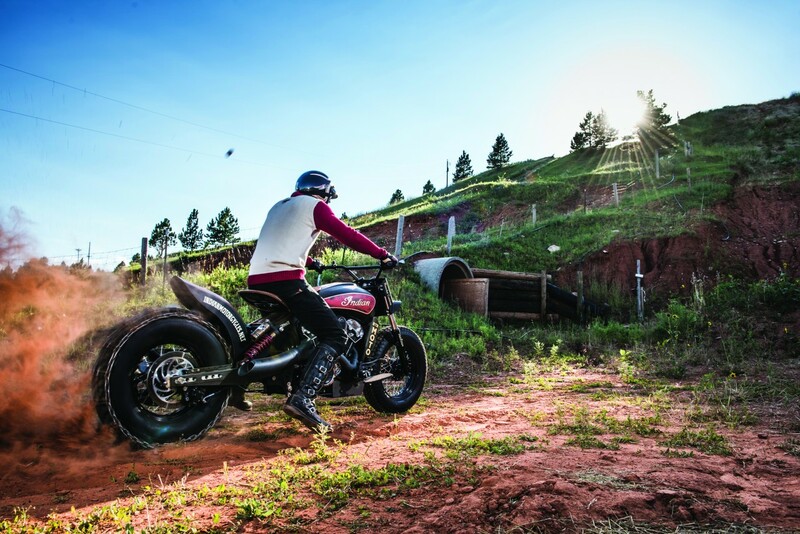 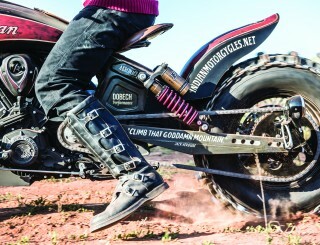 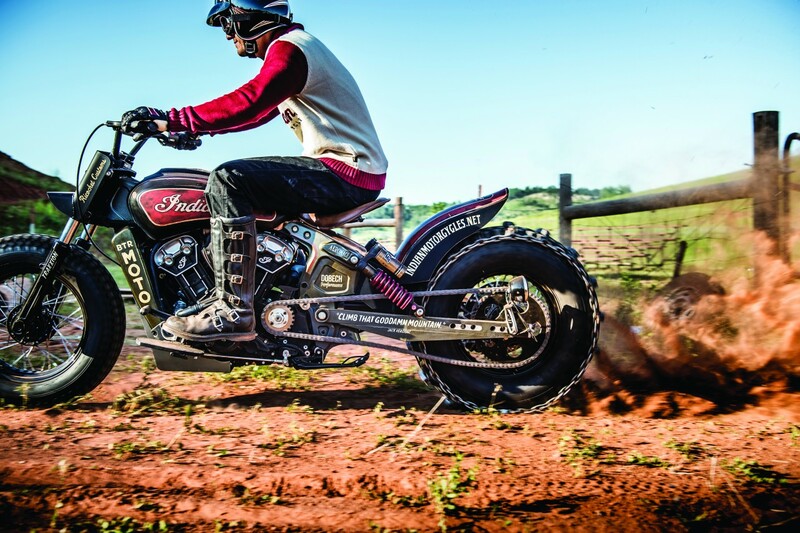 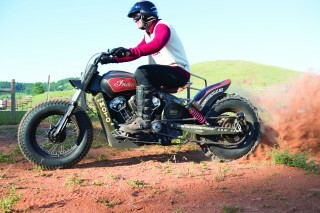 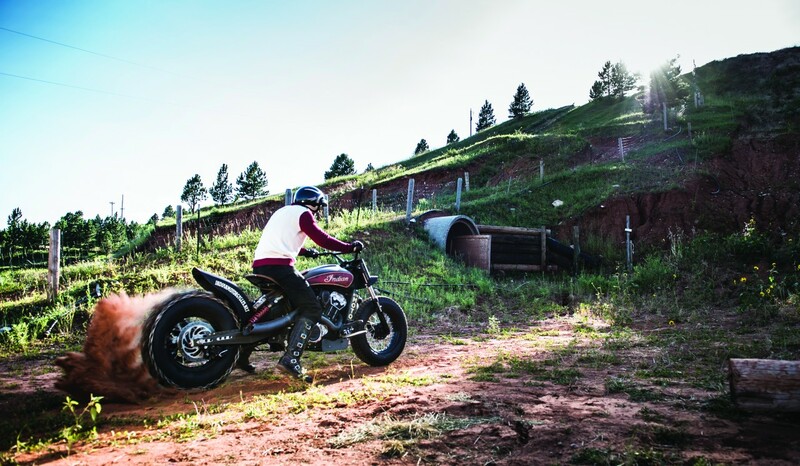 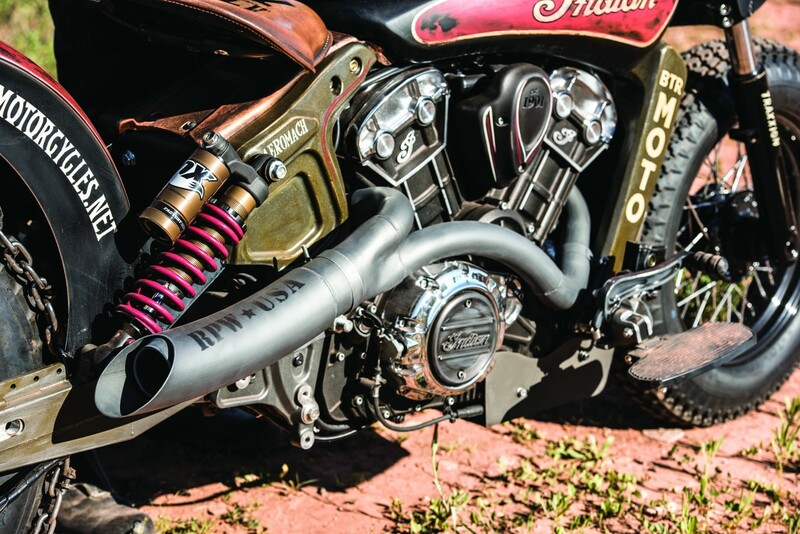 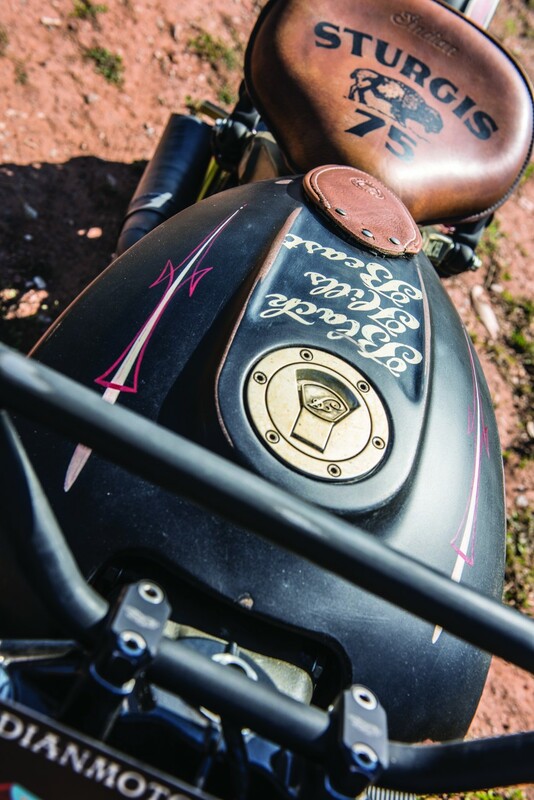 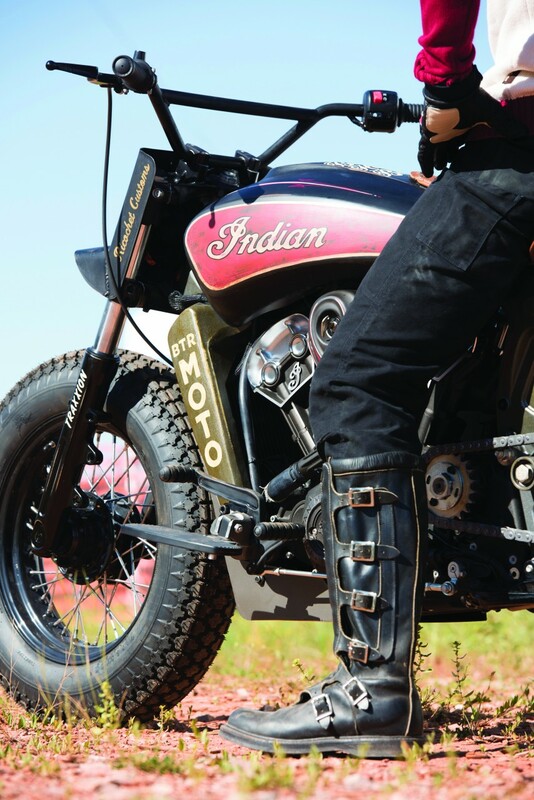 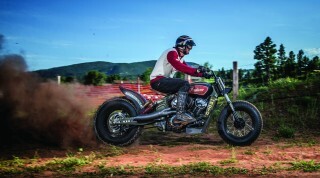 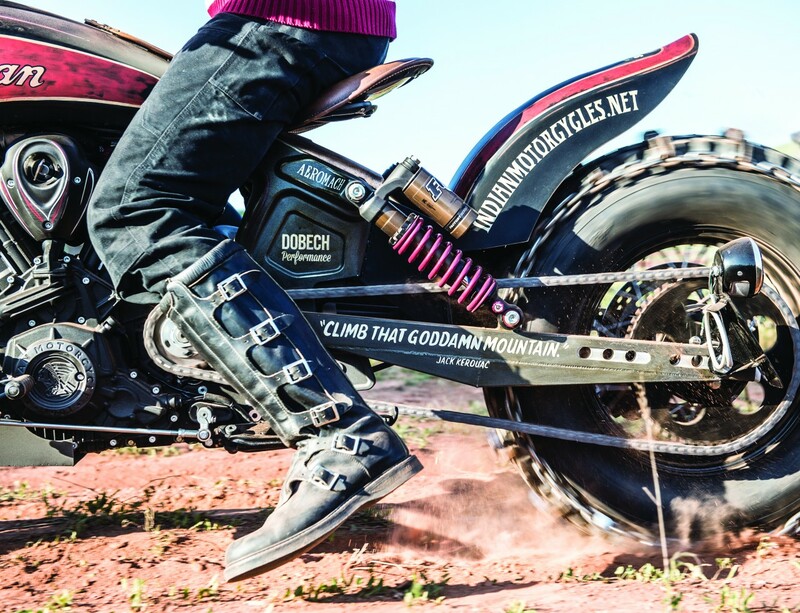 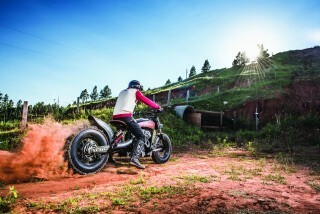 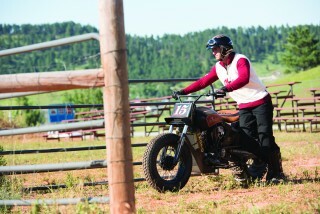 The Black Hills Beast is a 2015 Indian Scout and customised to emulate historic hill climb motorcycles. 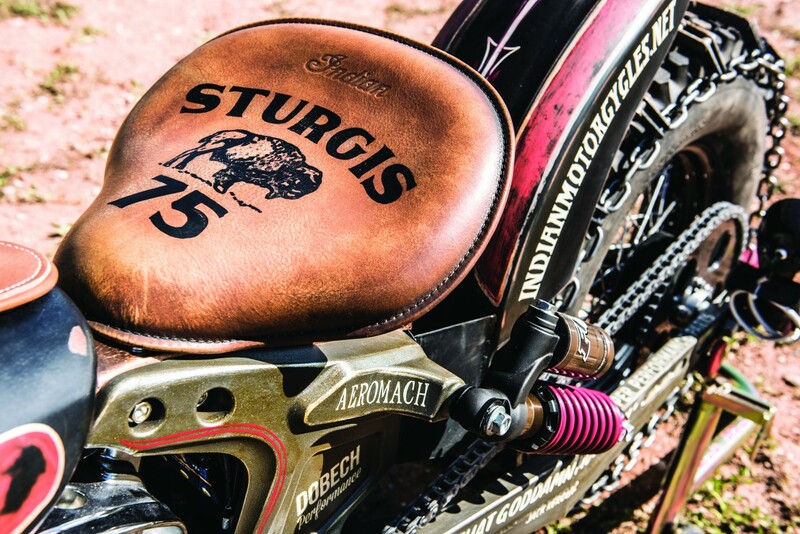 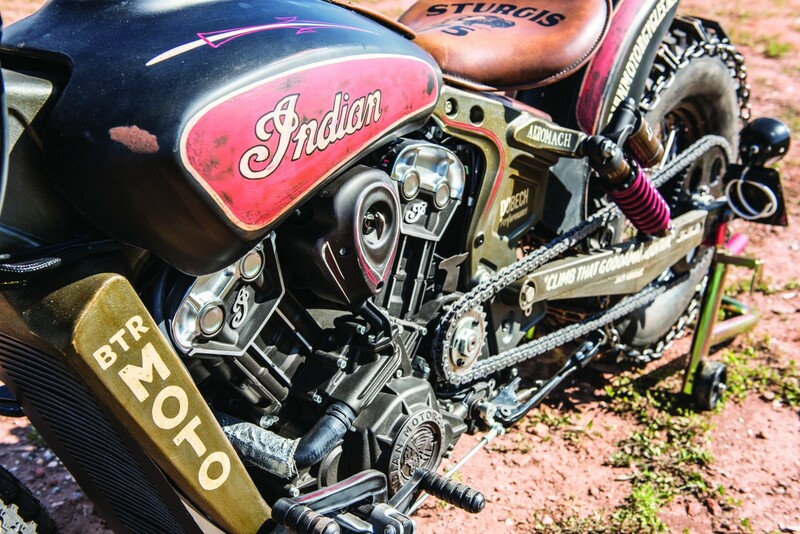 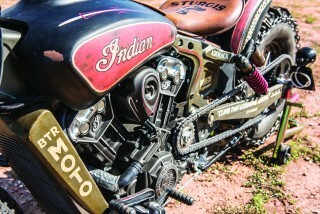 It was put on show at the Sturgis Rally (in the Black Hills, hence the name) in August. 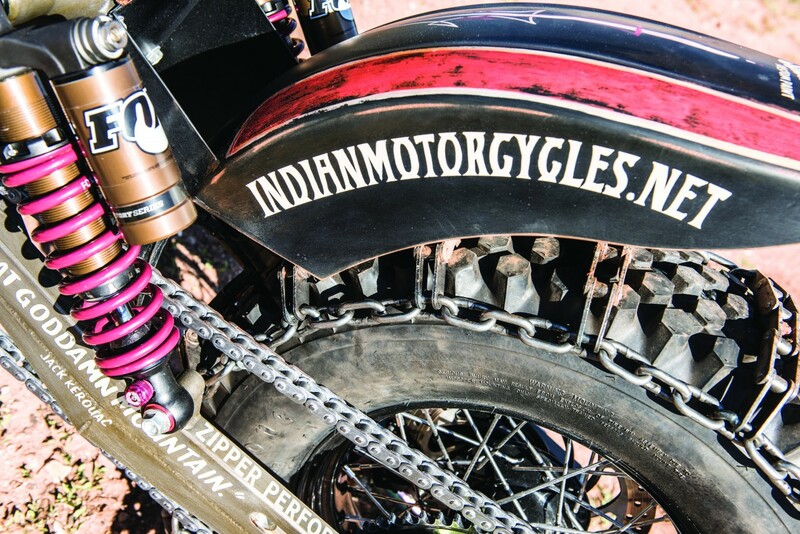 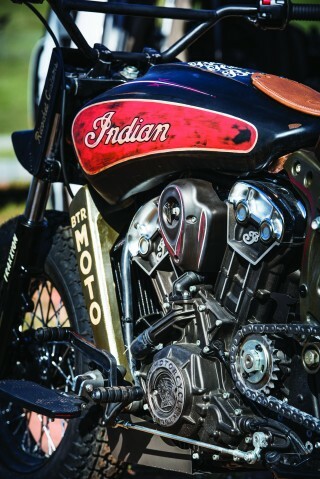 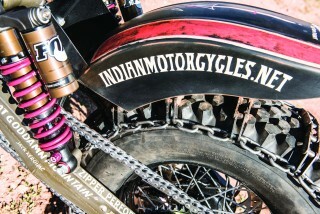 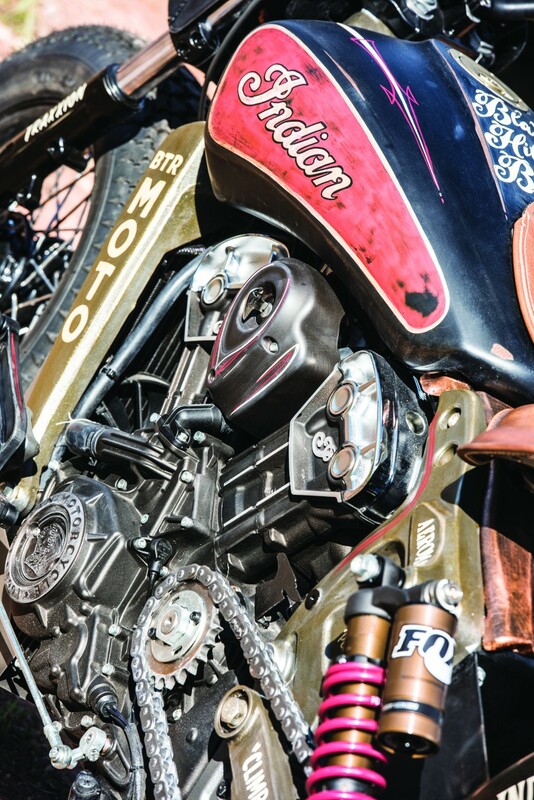 Indian Motorcycle put a call in to Doug and Nick with a simple brief: “Build us a hill climber”. Doug and Nick took a standard Scout and transformed it into the ‘Black Hills Beast’ by extending the swingarm, adding chunky tyres (with bike chains for extra grip), a set of custom handlebars and a custom exhaust. 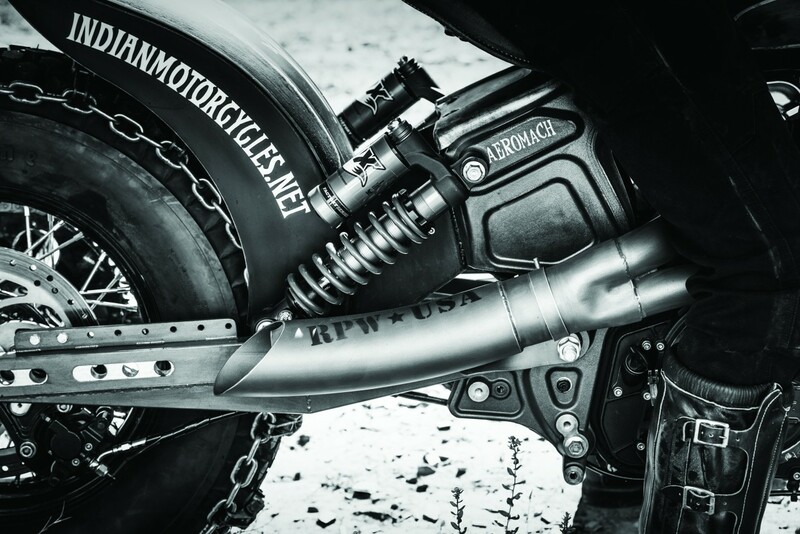 Work started on the exhaust first, then on the swingarm and handlebars. The front race plate incorporates an LED headlight. 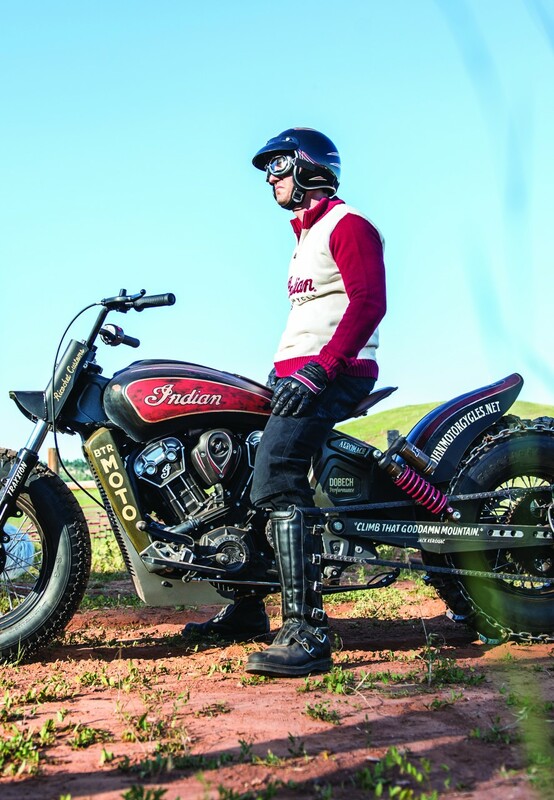 Some official Indian Motorcycle accessories were used too, including the 1920 Solo Saddle Seat and a set of the Accessory Laced Wheels. 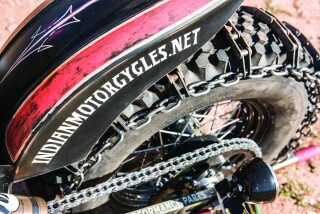 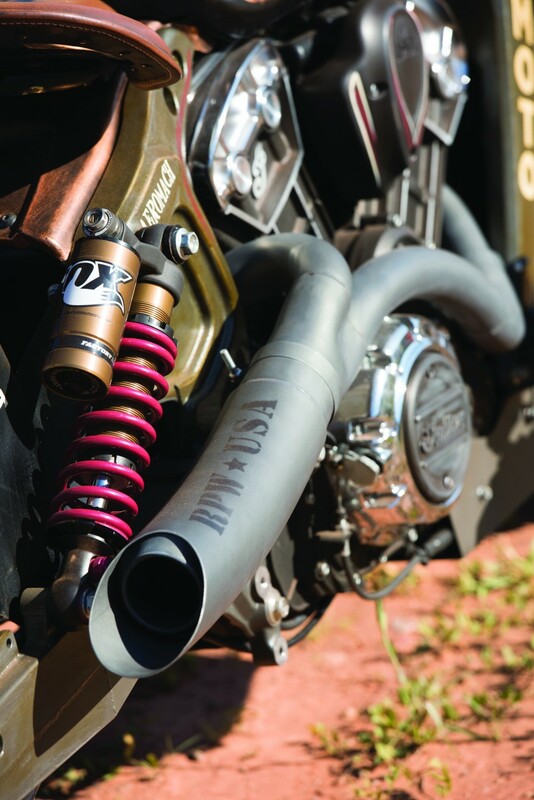 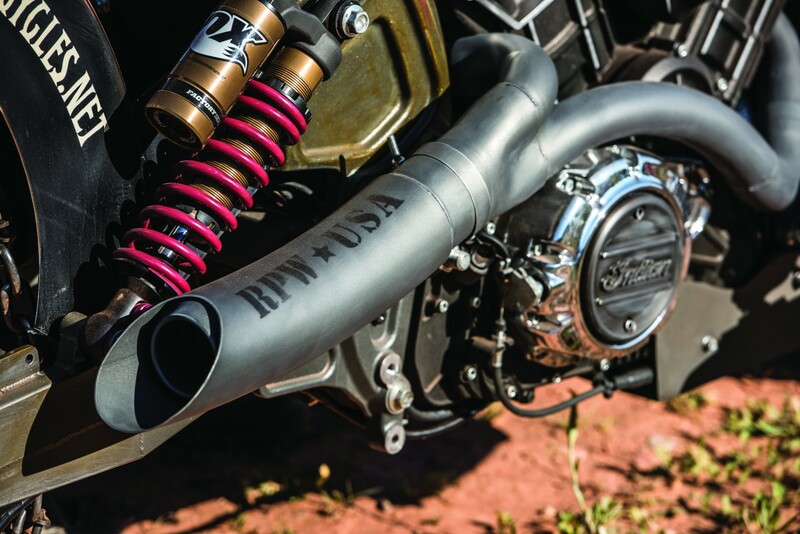 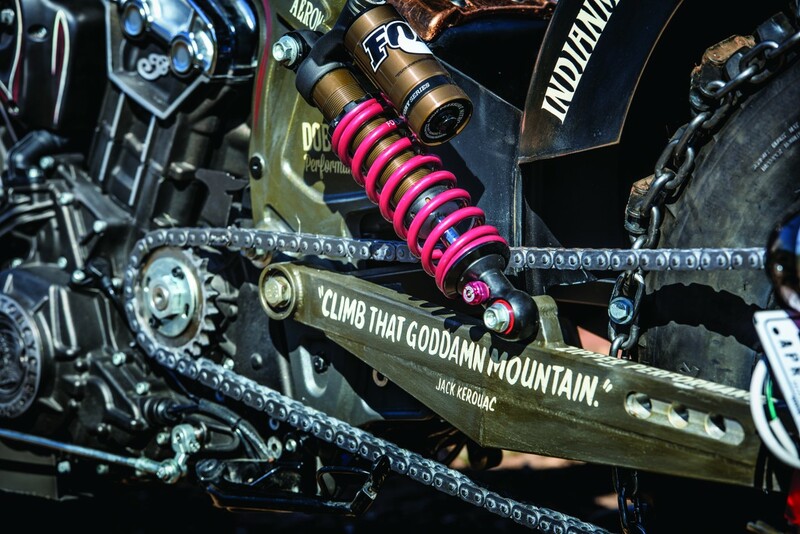 Additional support for the Black Hills Beast came from Aeromach (floorboards and heel shifter), Dobeck Performance (engine tuning), Fox Shocks (suspension), RPW USA (exhaust), Starr Studios (paint), Ricochet Customs (powder coating), BTR Moto (swingarm and tyre chain), Zippers Performance (chain drive conversion) and Traxxion Dynamics (front suspension).